Revamping a smallish apartment is a challenge on its own. When you add a decorator’s need to satisfy his client’s very specific style points, the difficulty only multiplies. For this apartment makeover, Thomas Altamirano brought his client’s “witchy chic” fashion sense into the light to create a modern lair anyone could love. My client Abby and I were set up by mutual friends who thought I could help Abby express her particular fashion sense throughout her apartment. I basically won the client lotto, because something just clicked with us — and we were able to make quick work of evolving her “modern macabre” style with a dash of retro femininity. From the building’s bones to Abby’s eclectic taste, there were a lot of details to uphold, but we kept an eye on staying sophisticated without sacrificing functionality. She does live in a New York apartment, after all. One has to maximize. My concept was to frame and highlight existing architecture, which we did with dark-gray painted walls and graphic wallpaper. These elements would create a backdrop for all of the new and vintage modern furnishings and art. We had to consider the scale of the furniture, different finishes, and balancing statement paint choices with decorative accessories. It took a bit of chemistry, a lot of patience, and more know-how I’ll tell you all about ahead. In the end, Abby ended up with a customized Brooklyn dwelling that melds its historic roots with her creative aesthetic. Her cats like it, too. 1. Take cues from your personal style. In this room, I was able to layer different elements of Abby’s style — modern with a dark, subcultural twist. 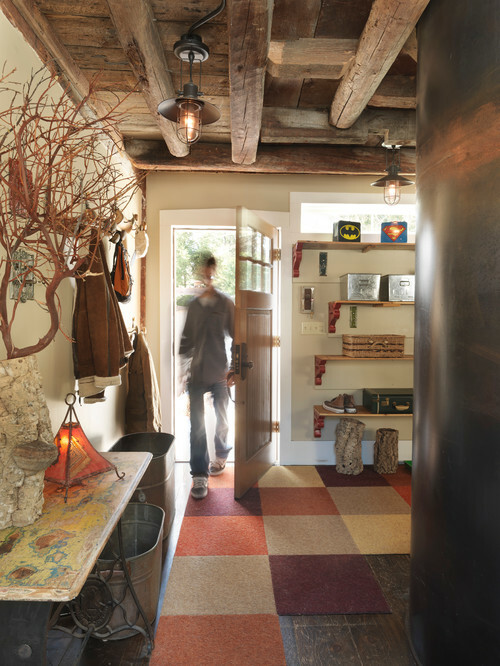 Dark-gray paint cozies up the place while the copper pendant modernizes it. The masks over the mirror and the art in the shelves are quirky bits that scream Abby. I mounted industrial library sconces over the bookshelves for that retro feel. Tom Dixon Copper Shade Pendant, $425, available at Ylighting. 2. Always have a one-off. This stool adds playful pattern and texture to the dining area. And, since it is backless, it maintains the open layout of the space. 3. Turn your bookshelf into a feature wall. The built-in bookshelf was our one big construction detail of the project. It serves as the obvious storage solution and it’s a decorative showcase, too. Organizing your books by color creates a fun, patchwork wall — and it’s so easy. Also, by switching up your groups of tomes from rows to stacks you provide visual interest while creating small platforms for your random tchotchkes. 4. Creepy can be cool. Abby is really into taxidermy. And, although it isn’t for everyone, it’s a decorative feature that works in any space. After passing on a wall-hung wild turkey, we settled on some colorful pheasants from Holler and Squall. 5. Define space, the decorative way. 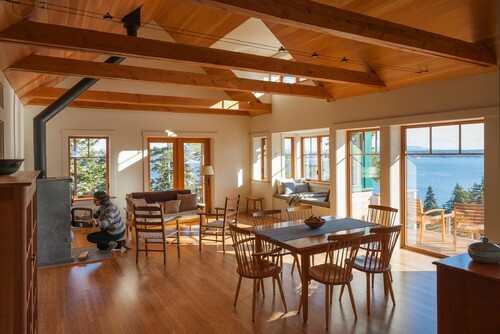 Dividing a room into two functional spaces can be tricky. 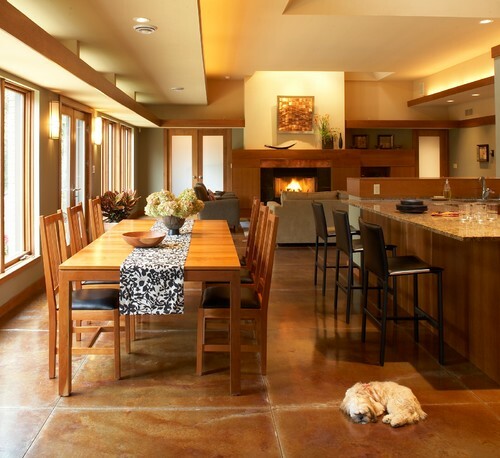 We used an oversized rug to delineate the living room space, while the large copper pendant anchors the dining area. The client had a vast collection of small pieces of art varying in style and subject. It lent itself perfectly to being clustered on the wall — which also helped provide alignment for the sofa. We used a set of skeleton plates to tie the framed selections together. 7. Try a different coffee table. Instead of one coffee table, we used two small bunching tables made of spaced-out wire and smoky glass to maintain visual openness without compromising size or function. Restoration Hardware Savoy Upholstered Sofa, $1865, available at Restoration Hardware;Crate & Barrel Lucida Side Table, $229, available at Crate & Barrel; Blu Dot Scamp Medium Table, $399, available at Blu Dot. 8. Use see-through surfaces for maximum visibility. The transparency of the table tops set the stage for interesting objets and allow the graphic rug to stand out. Plus, this lends an airy feel to even the most cramped of quarters. 9. Trade plain walls for lively wallpaper. A strong pattern is a great substitute for filling your walls with art. I like going with high-contrast palates, as I do with paint. The two organic patterns I chose create a whimsical backdrop throughout the apartment. Cavern Paleolith Wallpaper, $155, available atCavern. 10. Honor a meaningful piece. Using an old portrait of Abby’s father, and a hand-me down cabinet, we were able to create a really interesting bar nook. We added a new drinks tray and floor lamp for height and shine. 11. You can bleach your bathroom — go all white! All-white tiles and bathroom fixtures are classic, and when you add natural light and greenery you have the essence of purity. 12. Try a bathroom garden. Adding a variety of green plants to this light-filled room brings a touch of nature and freshness. Plus, the steam from the shower is like a self-watering system for not-so-thirsty succulents. Urbio Big Happy Family, $175, available atUrbio. Abby’s pretty funny, so I matched that trait with whimsical accessories she could play around with to keep the humor going. 14. It’s okay to mix and match. The bedroom holds the most traditional elements in the apartment: that molding and the stained-glass window. To bring a modern and organic twist I added two clean, white nightstands with patchwork wood drawers and topped them off with industrial-feeling brass sconces. 15. Personalize your bedside table. A trio of personal photos in a mix of brass and painted-white frames seamlessly connect the old time-y sconces to the updated furniture. 16. Door space is fair game. We used the back of Abby’s door as real estate for her many (but never too many) black bags. 17. Try small pieces with big impact. The rough-hewn wood-slab side table and sliver jewelry tree keep Abby’s things organized, yet playful looking. Each one’s got an earthy vibe and together, with the potted cactus and crystal, the display is almost boutique-like. 18. Turn big pieces into stations. A standing mirror is also a holding spot for final touches, so she can try, look, and go. 19. Clean lines, clean look. To keep the look relaxed and sophisticated, we stuck to white, textured bedding. 20. In a room of neutrals, go for one rich color. I kept the palette basic but bold with high-contrasting neutrals, usually grays and whites. Neutrals are timeless and pack a lot of punch when applied strategically. This mustard sofa really adds dimension. YLiving Masters Chair, $300, available atYLiving; Eskayel Akimbo 5, $275, available atEskayel; Rugs USA Moroccan Diamond Shag Grey Rug, $163, available at Rugs USA; CB2Geometry Nesting Tables, $329, available atCB2. 21. Add personality with pillows. The patterns on the throw pillows compliment the graphic wallpaper while also helping the sofa blend into the rest of the gray-and-white decor. 22. Why can’t tables be pedestals? These nesting marble tables are more playful than most due to the varying shapes and sizes of each top. Setting the tables in an overlapping arrangement adds depth and creates the perfect platform for a vignettes of plants and collectibles. 23. Happy client, ecstatic designer. Abbey and I relax in her “new” place. West Elm Linen Cotton Grommet Curtain, $59, available at West Elm. They’re pros at tricking the eye — whether you’re selling your house or not. As a designer and home stager to the stars, Meridith Baer has helped A-listers like Madonna and Brooklyn Decker sell their houses. While she often has the luxury of a large budget to work with, Baer notes that it takes more than just money to sell a space. From decluttering to rearranging, Baer shares some easy, cost-free tips for revamping your home before you list it. 1. MIX UP YOUR SURFACES. “To freshen up the look of your home,” Baer says, “remove all of your accessories and books from bookshelves, consoles, and coffee tables, and give each piece a new home.” Bonus: “Moving things around a bit may even help you clear some clutter,” she says. 2. AIM TO MAKE A VISUAL IMPACT. 5. STYLE YOUR COFFEE TABLE. 7. CREATE A BEDROOM SEATING AREA. Have an extra table and chair? Move it from your living room to your master bedroom. “It seems counterintuitive to pack in more furniture, but if you have the space, put an upholstered chair and a side table in a corner. It’ll give the impression that the room is larger.” And bigger is always better, right? 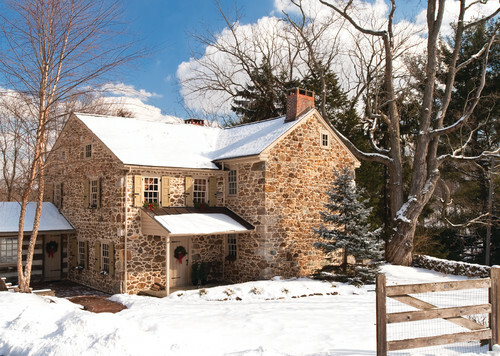 Farmhouse Exterior by Chadds Ford Architects & Building Designers Period Architecture Ltd. Remove snow as quickly as possible after storms — use your roof rake to regularly remove snow from the roof of your home (or hire someone to do this for you). 2. Keep an eye on trees. 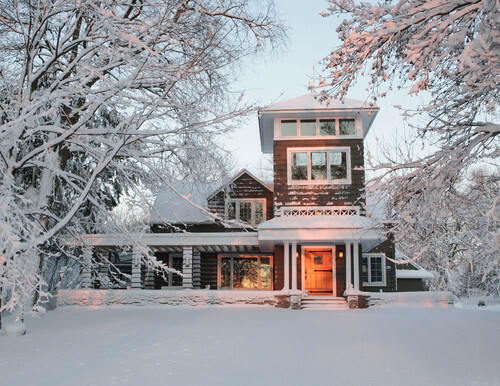 Big snowfalls can settle onto tree limbs, making them heavy and more prone to breaking — which can be especially dangerous if a tree is within reach of your house. Ease the burden on your trees by brushing off snow after each snowfall, using a broom to extend your reach. Don’t shake the tree to remove snow, since this can cause brittle limbs to break. Proper tree maintenance in the fall, paired with regular snow removal, should help prevent breakage — but if a limb does fall during winter, have it removed as soon as weather permits. 3. Keep paths cleared of snow and ice. Regular shoveling (or snow blowing) is the best way to keep walkways, driveways and sidewalks safe and ice-free all winter. Keep some pet- and plant-safe ice melt or sand on hand to provide traction on stairs and other slippery areas, and flag the edges of your driveway and sidewalk so you know where to stop shoveling when the snow gets deep. 4. Have your fireplace cleaned. If you haven’t done so yet, have your fireplace cleaned by a certified chimney sweep. Regular cleaning is a necessary safety measure for wood-burning fireplaces and wood stoves, since buildup of creosote (from past fires) inside the chimney can potentially cause a house fire. Gas fireplaces should be checked too —even though gas is a clean-burning fuel, there could be an old nest or other debris blocking the chimney. 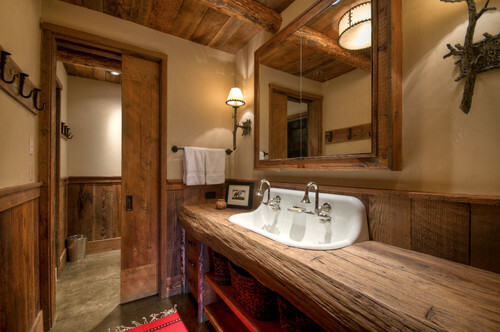 Rustic Bathroom by Bozeman Interior Designers & Decorators Laura Fedro Interiors, Inc.
5. Prevent frozen pipes. Because water expands as it freezes, frozen pipes can burst, leading to extensive water damage and costly repairs. We spoke with Gaëlle Gagne, owner and vice president of Galeforce Home Services in Auburn, New Hampshire, to find out how to keep pipes safe in winter. 6. Protect entryway flooring.Between tracked-in snow, ice, road salt and sand, entryway floors can really take a beating in the winter. Increase the longevity of your flooring by using floor mats both inside and outside each entrance to your home. Provide a boot scraper or brush outside for removing excess snow, and a waterproof tray inside for placing wet shoes and boots. 7. Check your emergency supplies. With winter storms comes more potential for power outages — be prepared with fresh bottled water, shelf-stable foods, flashlights and batteries, first-aid supplies and a hand-cranked radio and smartphone charger. 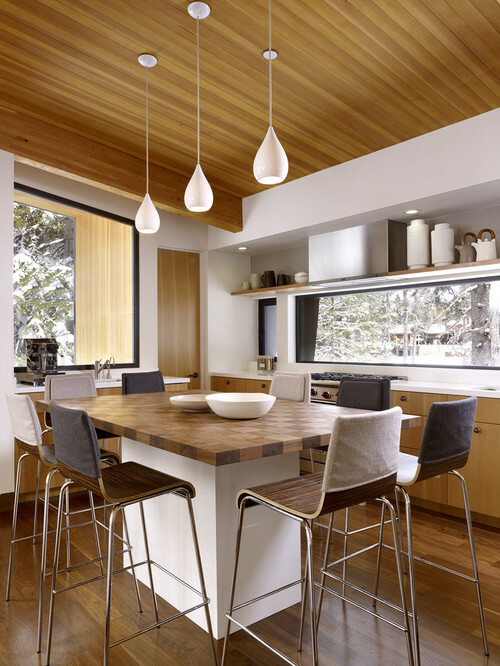 Modern Dining Room by Racine Architects & Building Designers Genesis Architecture, LLC. When using high-efficiency heating systems, make sure that PVC vent pipes are cleared of snow and debris. 9. Check batteries in smoke and carbon monoxide detectors monthly. 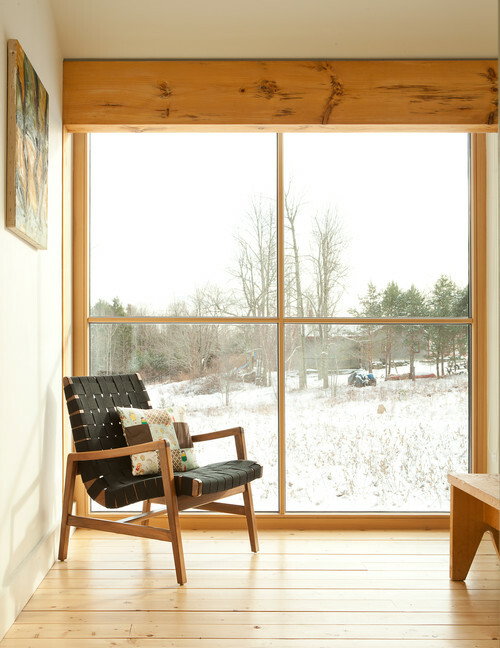 This is especially important during winter, when we keep windows closed and use wood-burning stoves and fireplaces more often. Make sure you have smoke and carbon monoxide detectors in each bedroom, on each floor of the house and in the kitchen. Check detectors monthly and change batteries as needed. Tell us: Do you love winter, or are you counting the days till spring? Share which winter chores you adore and which you could live without in the Comments. Dilemma: Can’t find the right furniture arrangement. Try this: Remove the area rugs. 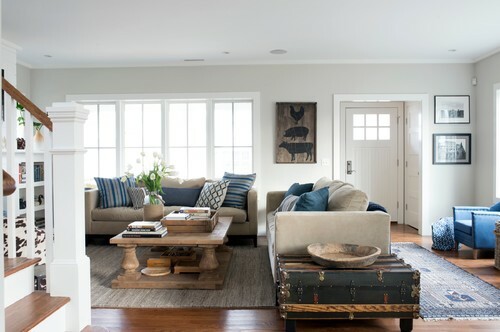 Because they anchor the room, big area rugs can blind you to new room layout possibilities. If you just can’t seem to get your furniture arrangement right, roll up all of the area rugs before trying anything else. 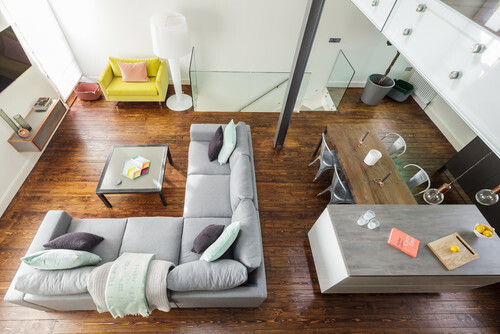 Look at your space from a new angle — from an upper floor, atop a ladder or low to the ground. The shift in perspective can help spark a new idea. Dilemma: Wall decor feels jumbled or unfocused. Try this: Focus on one big piece of art. 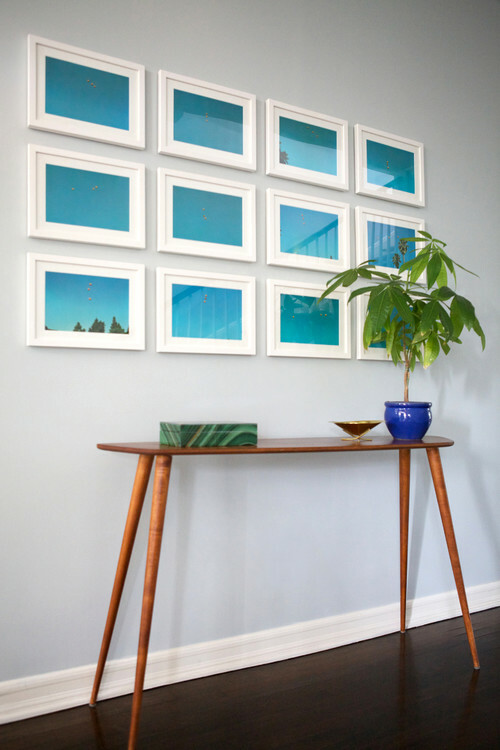 Lots of small frames on the wall can feel visually cluttered, especially if they are hung at different heights. Take everything down and put back just your favorite large-ish piece. One big piece gives the eye a clear place to focus on and leaves plenty of white space to keep the room from feeling jumbled or messy. Or this: Add a crisp grid. If you don’t have a large piece of art, or you want to try something different, work a number of small pieces into a grid arrangement. It’s important to use identically sized frames for this and to measure carefully before hanging! A theme for the art works well for this idea — collect photos in shades of blue, a collection of photos taken in the same place, all black and whites, and so on. Try this: Add a giant mirror. Your space may be small, but it doesn’t need to feel that way! 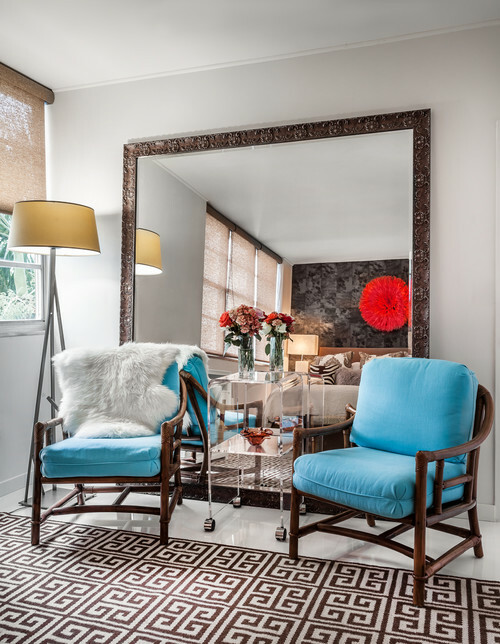 The biggest impact design move you can make in a small space is to add a really big mirror. Hang it or just lean it against the wall, and your space will immediately feel much larger. Or this: Swap a solid piece for something clear. A bunch of solid wood and upholstered furniture can quickly make a small room feel overfilled. Reduce visual clutter by replacing a heavy piece with one made from clear acrylic or glass. This works especially well for coffee tables and consoles, but you could also do a clear desk, a glass-top dining table or acrylic chairs. Contemporary Family Room by Chevy Chase Architects & Building Designers Wentworth, Inc.
Dilemma: Room feels too stiff and formal. Try this: Swap out a hard piece for one that’s upholstered. If what you want is a room that makes you go “ah,” you need some squashy pieces you can sink into. 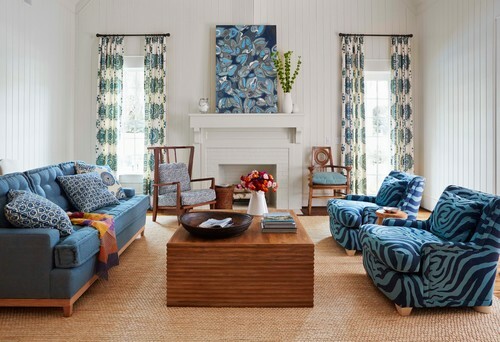 Trade out a wood coffee table for a plush ottoman, toss a few big cushions on the floor or swap a stiff-backed wooden chair for a comfy upholstered version. Or this: Add something worn and aged. A chunky wood coffee table (with a few dings and dents) is an open invitation to kick back and put your feet up. Choose a few pieces that show their age — a vintage trunk, a hand-me-down table, a chipped painted chest — and your guests will surely feel at ease. Dilemma: Room feels too casual and unfinished. Try this: Add something shiny and metallic. If a polished vibe is what you’re after, choose accent pieces in the shiny metallic hue of your choice — silver, gold, brass, copper, bronze. A few pieces (for instance, a lamp, vase and table) are enough to make an impact. Dilemma: Room feels too small. Try this: Hang curtains high. This is one of those things that doesn’t seem like it would make a big difference, but it really does. Hanging curtains nearly at the ceiling makes ceilings look impossibly high, and by extension makes the whole room look bigger. Dilemma: Color scheme isn’t working. Try this: Let a photo be your guide. Being in a room (especially one you are in a lot) can make it hard to put your finger on what’s working and what’s not. Take a photo of your space and examine that to get a more objective view. Name all of the colors you can see in the photo — if there are more than three, that could be a sign there’s too much going on in your color scheme. Decide which hue you’re not as fond of and start removing items with that color from your space. Tell us: What is your biggest room dilemma? 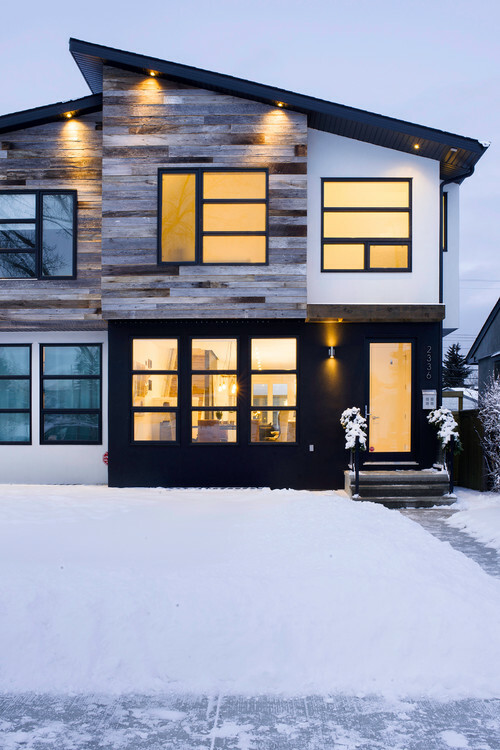 Houzz Quiz: What’s Your Decorating Style? Here at The Kitchn we talk a lot about how to clean all of those special and persnickety things in your kitchen — from cleaning your knives to maintaining your cast iron skillet to cleaning the outside of your wood cabinets — but what about those cleaning tasks you should tackle daily? There are a few things that should be cleaned daily to help you keep a tidy kitchen. Luckily they don’t take that much time at all. Here are the top five things you should be cleaning every day. The bad news is that your kitchen sink is actually one of the dirtiest places in your home, so you definitely need to be cleaning it daily. The good news is that kitchen sinks are generally pretty easy to clean. Whether you make your own cleaner with vinegar, or opt for a store-bought disinfectant, give your sink a good cleaning each night and a thorough scrubbing as needed. Plus, you can always disinfect with hot water from your tea kettle after you make tea or coffee. Unless you ate out for all three meals, we’re going to guess that you used your counters and stovetop at some point during the day, which means they need to be wiped down at least once each day — more if something spills or you scatter crumbs or you’re a bit imprecise with your pepper grinder. Save the thorough scrubbing for once per week, but make sure they are cleaned off every day. Admittedly, this could be more of a once-a-week chore, but it’s so fast to do that you might as well make it the last part of your dishes routine each night. Good Housekeeping investigated the most effective way to clean your sponge, and while soaking it in bleach (yuck!) was the winner, running it through the dish washer and zapping it in the microwave were close runners-up. So once you’ve finished your dishes each night, dampen your sponge and pop it in the microwave, or run it in the cycle with your dishwasher. No microwave or dish washer? Soaking it in white vinegar is also effective. Basically, wherever you sit down to eat your meal should be wiped down every day. If you eat at the coffee table, give that a once-over with a damp cloth. And if you work from home like I do, and are prone to eating at your desk, the same rule applies. You don’t want to leave any food crumbs that could attract ants or worse. White is huge for kitchens right now: white appliances, white countertops, and especially white cabinets. It’s a clean, uniform, and refreshing look — but it’s not for everyone. If you find yourself craving a little color in the kitchen, take a look at this roundup of 11 kitchens with cabinets in any color but white. If you love the look, it can be as close as a paint job away. Above: We’re in love with the glossy dark green cabinets in this kitchen fromPeppermint Bliss. Red cabinets + blue tile = the opposite of boring. From Desire to Inspire. Bright pink cabinets in a cheerful space from Beautiful Kitchens. The folks at A Beautiful Mess painted the cabinets in their studio kitchen a bright yellow. 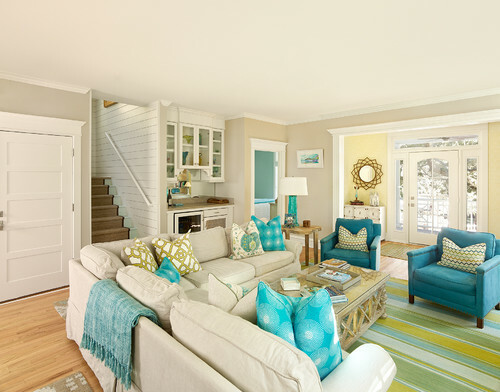 If you love color but are feeling something a little subtler, let this mint green fromA Beautiful Mess inspire you. The kitchen in Allison Burke’s Austin home features these lovely green cabinets. Green cabinets + black countertops = a fresh, interesting new look for the kitchen. Photographed by Jonas Ingertedt for Elle Decoration. Beautiful blue cabinets in Kristin & Michelle’s Austin home. Blue cabinets in a classically styled kichen from Domino. Blue cabinets, blue walls and a touch of marble are a smart combination in this kitchen from My Scandinavian Home. And finally, a navy blue that’s not quite black in a kitchen from Skona Hem. Humans are social creatures that require a great deal of private space, and when it’s privacy you crave home is where the heart is. No matter what your home looks like it is your sanctuary. Simply stepping through the front door and clicking the door locked behind you brings a feeling of peace and tranquility. People dump a considerable amount of money into their home, either on monthly mortgage payments or rent. Since you spend so much time in your house and put so much money into it, you might as well make it perfect with surreal interior designs that speak to you. The amazing interior design ideas on this list offer something for everyone, from grand sweeping installations that cost an arm and a leg, to stunning yet simple designs you can duplicate while still staying on a budget. I would love to get lost in a book hanging out in this prime reading room! What kid wouldn’t love to have this cool design in their room? This home is one of the most expensive pieces of real estate in New York City thanks to the view, and the fact it has over 6,000 square feet of living space. The best home renovation projects offer more than just aesthetics, but space saving convenience as well. When you have too many books to fit in your house, turn your ceiling into an impressive circular library. See more incredible Glass Rivers And Lakes Flow Across Beautiful Tables By Furniture Maker Greg Klassen. You can add stars to any floor in your house as well. Learn more: See How This Guy Transformed His Bathroom Floor Into A Starry Night Sky. My only question is how do they keep the roots from interfering with the foundation of the house. 23. Illusion Wall… Is It Rippled Or Smooth? Here’s one way to recycle your old bike!